When is a reverb not a reverb? When it's a "spatial processor"
More than the sum of its parts, this amazing dual reverb will blow you away. Fantastic sound Enormous degree of control. Two independent reverb engines Built-in limiter and saturation effects. Massive preset library. No tempo sync for delay effects or LFO modulation. No 64-bit support on OS X as yet. 2CAudio's third and most advanced algorithmic reverb B2 (VST/AU/RTAS) utilises twin reverb engines (based on its Breeze plug-in) that can be configured to create a wide range of internal processing structures. "The B2 is targeted at those who like a high level of control and those who are happy to exploit a library of over 670 presets"
It slips in neatly alongside its stablemate Aether as a high-quality alternative, different both structurally and algorithmically, and targeted equally at those who like a high level of control and those who are happy just to exploit an impressive library of over 670 presets. The top-left corner of the GUI houses buttons for changing views and switching between the two engines, A and B. To the right of these are the three main graphical displays, which show reverb time, the effects of the damping and EQ controls, and an input/output graph for either the Attitude control or the dynamics section. Engine A's settings are shown in blue, while engine B's are green, so both are always visible in the main displays. Below the displays lie the Size and Time knobs, which determine the size of the virtual space and the reverb time in milliseconds. The Geometry section contains parameters affecting the shape of the reverb tail's amplitude envelope, and there are additional controls for adjusting density and diffusion, the rate and depth of modulation from the built-in LFO, and knobs for setting the Damp, EQ and Attitude parameters. There's a Balance slider for setting the mix balance between the two engines, and a dynamics section featuring gate and compressor effects. A handy global limiter also acts as a soft clipper and saturator, beefing up the sound and keeping levels under control. "In B2 you can disable individual components as required, which allows for great sonic control and CPU efficiency"
B2's modular, dual-engine architecture facilitates the creation of complex combination effects within a single instance of the plug-in. While Aether takes a more 'traditional' approach to reverb, in B2 you can enable or disable individual components as required, a structure that not only allows great sonic control, but also maximises CPU efficiency. Strolling through the Dual Engine presets demonstrates some practical applications of this system. Some, like Aether, use one engine for early reflections and the other for the longer reverb tail; some deploy totally different reverb effects in each engine, arranged in parallel; others use both engines in series. A further category reverses the stereo channels of one engine, for a discrete, four-channel reverb capable of generating amazingly wide stereo effects. As you'd expect from the makers of Aether and Breeze,￼￼ B2 sounds fantastic. Lose yourself in the endless library of presets (accessed via a slick, filterable browser) and it doesn't take long to realise that this is a spectacular plug-in capable of producing an incredibly broad range of effects, from subtle mastering ambiences to zany distorted echoes, via sumptuous large halls and everything in between. Whether you're using it for music production or sound design, B2 delivers anything you could ask of it. 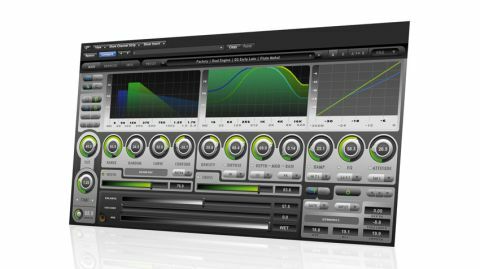 With so many excellent presets included and an architecture that enables truly microscopic editing, not to mention the dynamics section, the Attitude control and that great-sounding global limiter, 2CAudio have come up with something that really is very, er, spatial.